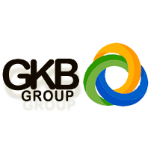 GKB Group's foundation is laid on the philosophy of introducing Rajasthan to a world where a new and better lifestyle is making inroads to the contemporary living of the state. In recent times the group has launched a promising notion of life with the name of The Urbanite. The project has got a significant response from both end users and industry as well. In a way, GKB Group is envisioning a new face of Rajasthan where life has got all the hues to paint a vibrant and happening picture of an ambitious tomorrow. In a nutshell, GKB Group is striving hard to compliment the idea of a truly ultra-modern lifestyle by offering new concepts of living to the people who aspire to live with a difference.